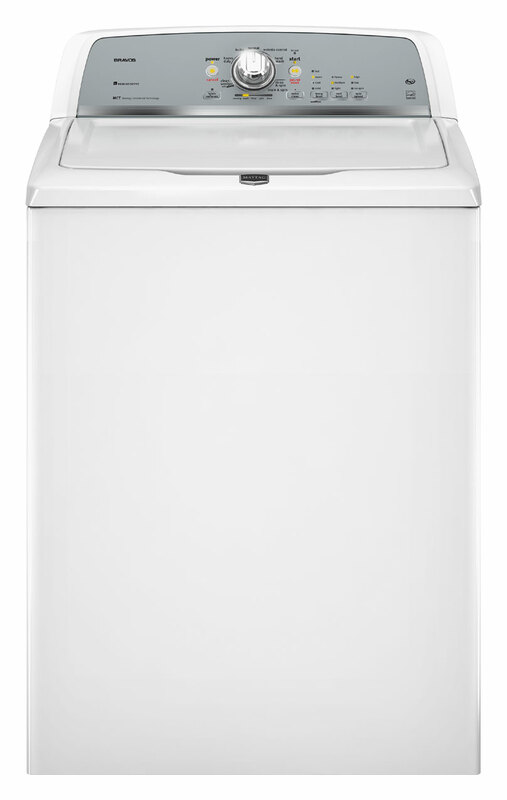 This is the summary of consumer reviews for Whirlpool 3.6 cu ft High-Efficiency Top-Load Washer (White) ENERGY STAR (Model: WTW4950XW). The BoolPool rating for this product is Good, with 3.80 stars, and the price range is $540-$650. 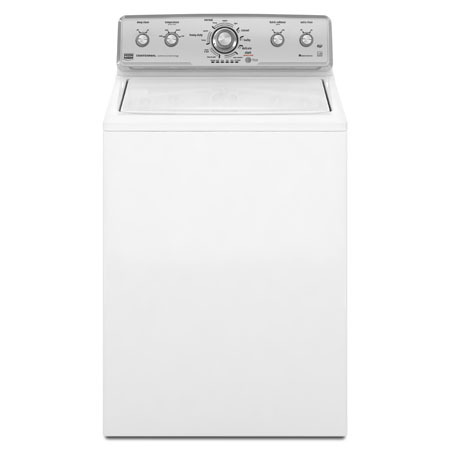 Whirlpool WTW4950XW is a Top-Load Washer with large 3.6 cu.ft. stainless steel wash basket with no agitator. This high-efficiency washer uses just the right amount of water. The H2Low wash system with Auto Load Sensing determines exactly how much water is needed, saving resources and delivering a deeper clean. This model is energy efficient and is ENERGY STAR qualified. 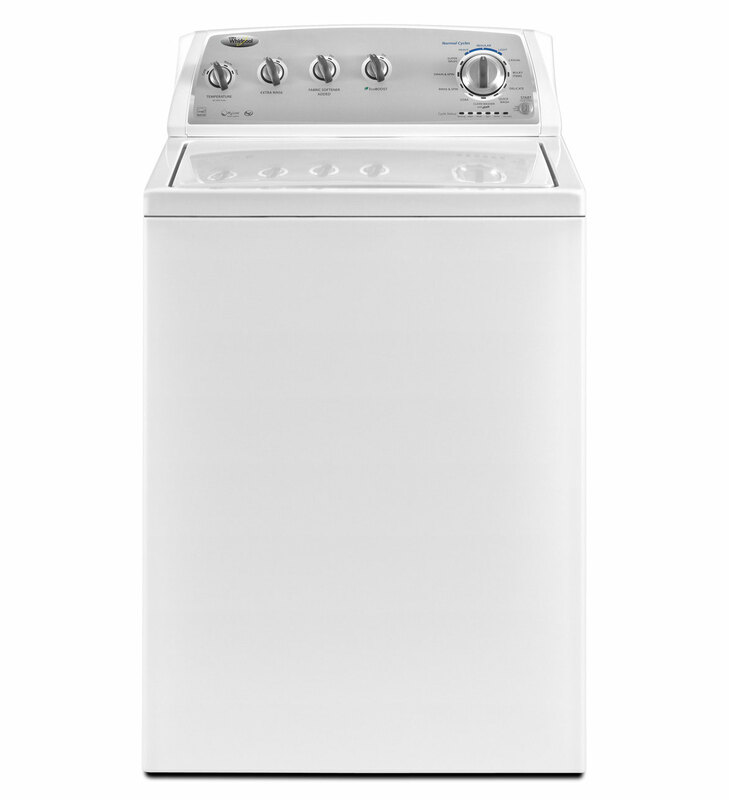 12 automatic cycles, 4 water temperatures, and 4 water levels give an exact control over washing laundry. The EcoBoost option uses a lower temperature and higher spin speed to reduce overall energy use by cutting on drying time. This model does not have too many bells and whistles and thus it is very simple and easy to operate. This washer features a wide-opening lid that makes it easier to load larger items. 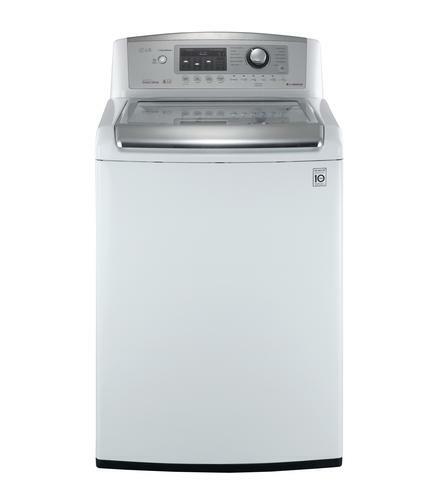 Whirlpool WTW4950XW washer is priced reasonably. Some users complain that since this machine uses less water, it doesn't clean clothes effectively and leaves stains and soap in clothes.It may take more that one wash cycle to clean the clothes properly. It takes almost an hour to finish a wash cycle which is standard as per Whirlpool. For some users, this washer is loud and noisy. Users recommend using the Bulky Wash Cycle to wash normal laundry lots to clean them better. 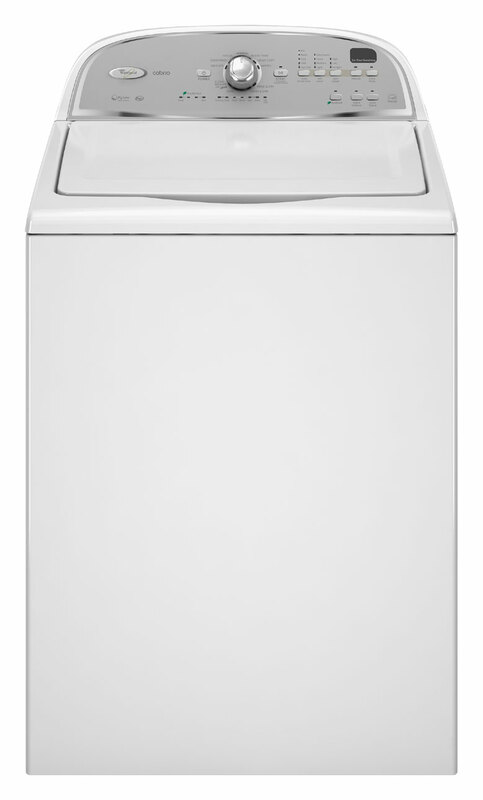 Overall, Whirlpool WTW4950XW - 3.6 cu ft High-Efficiency Top-Load Washer is a reasonably priced good quality washer which can accommodate big loads of laundry to save time and energy. It has many adjustable settings and cycles to wash laundry ranging from delicate to bulky. 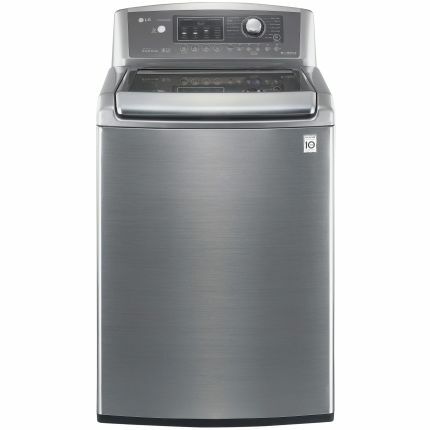 This's a wonderful washing machine I'm big in savings using less water and doing an excellent job cleaning my laundry is everything I was looking for in a washing machine. I bought this washing machine at Costco. This machine was easier to figure out than my old washing machine.. This first machine never would fill up with water; it was stuck on sensing.On 11-03-12, I washed one load and the machine worked just fine. Now that I've been using the washing machine for a couple of months now, I'm happy with the top loader and I'm very satisfied with this new washing machine. This isn't your grandmother's washing machine, it's energy efficient, environmentally friendly, and truly cleans our clothing as well. Anyway, we love the machine and recommend this unit to anyone who's considering a new machine but can't afford a front loader!!. WASHES CLOTHES IN LESS TIME THAN OLD MACHINE DELIVERY AND SETUP WAS GREAT. This machine is somewhat different from the traditional top loading machines; you've to read the instructional manual and load it a little differently; you drop the clothing into the machine instead of laying it around the agitator; the clothes come out clean, there's adequate water in washing them and the spin cycle gets them dry enough that it cuts down on the dryer time. Clothes come out clean, with any size load in the wash tub. It uses very little water but the clothes come out clean. It uses much less water yet cleans our clothes very effectively. 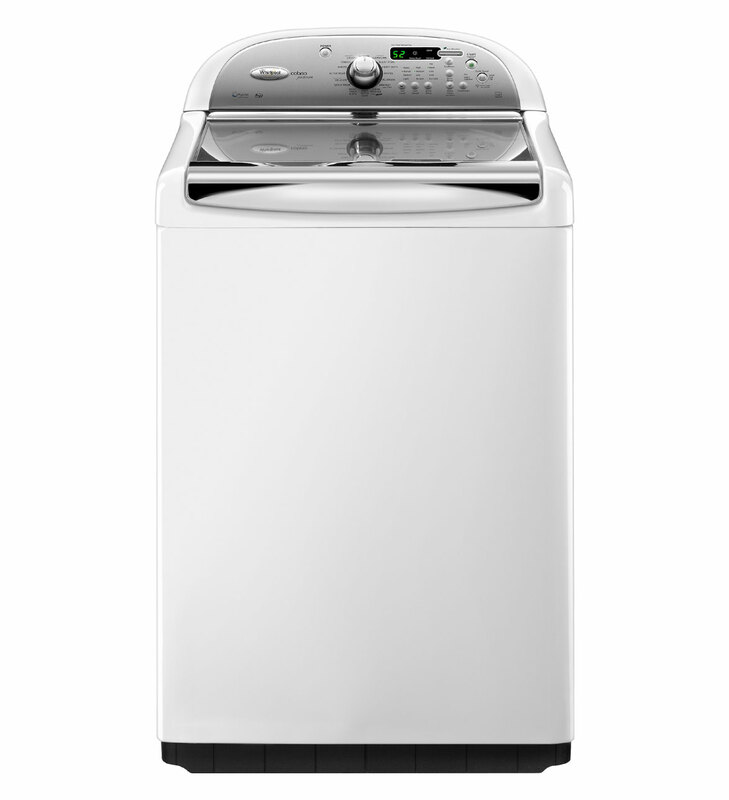 The washer is perfect - clean clothes, no problems, and the high efficiency claims are true - less water, less drying time. My clothes comes out clean and odorless. Big basket allows full loads which minimizes the need for multiple washes, ets clothes super clean the... first time we used it the clothes were so dry after the final spin I wasnt sure if the wash cycle started This results in super fast drying. I especially love putting my white clothes on super wash and they come out spotless. The only thing I don't like about it'd be the fact that the lid locks making it hard to add clothes or take clothes out during washing. It does a very good job of washing clothes. More time consuming in loading the clothes inside, then tossing the clothes directly in. In total, it takes about two hours to wash a load of clothes. It cleaned my clothes so much better. Good choice for a midrange product at this point. 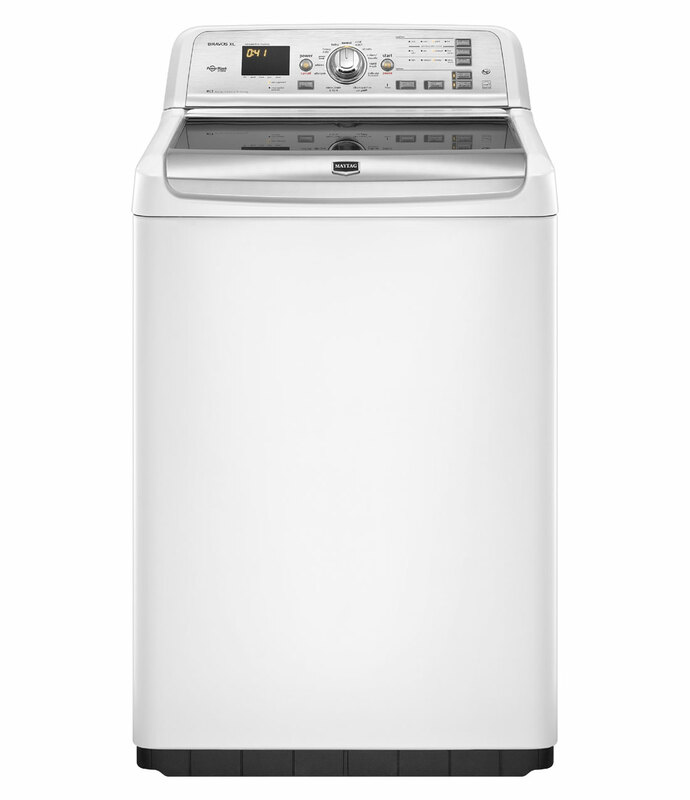 This washer is another excellent Whirlpool product. This product is very easy to use and is doing a very good job of cleaning our clothes. Reasonably priced and excellent quality. I've all Whirlpool products in my home! Thanks for making a great product!!!!!. First of all I love Whirlpool products and I'll continue to purchase and use them. Odors aren't washed out and sour smells and stains aren't removed easily. It'll hold a lot of clothes, but the "agitator" or wash plate action isn't enough for the tough dirt and stains. It seems our items don't come as clean as they did when washed in our regular "old fashioned" machine. I used a front loader to get a better wash. Does fine for normal clothes not dirty or stained. I now wash many many more small loads so it doesn't get out of balance and have to wash most loads a couple of time, run it through an extra drain and spin, etc. It's so nice to have a large opening, Since there's no mddle agitator there's nothing stopping you from putting in large items. It's hit and miss until you find the cycle that works best for what you're washing. It's loud and makes noises throughout the wash cycles. Great machine, best top load we've owned....many excellent features and cleans really well...quite as well. The washer doesn't clean clothes very well. Noisy and doesn't clean well unless on bulky items setting. cleans clohes well, ease of operation and innovative design. This washer cleans our clothes very well and I've had no trouble using it. I was 5 days outside of my warranty and Whirlpool said "Oh well." Since we keep our washer and dryer in the garage, sound hasn't been an issue, though it may be a little loud for those who keep their washer inside. 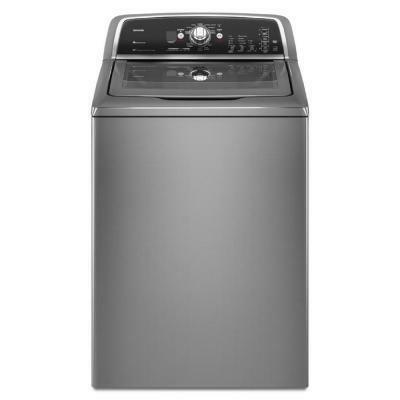 We ended up choosing this washer because it doesn't have too many bells and whistles that I'd never use, while still having features that I like (e.g. the "Clean the Washer" and Delicate cycles). I liked it real well, that's why we stayed with Whirlpool. Washes well, saves water, but is noisy and I don't like that you can 't run the water while loading clothes. Washes clothes nicely but I wish there was a way to bypass the automatic water level sensor. So instead of saving water, we're using more water because we wash them two and three times to remove the soap. They was covered in soap stains - there's not enough water to soak and wash the clothes. Also, at times it seems as if it dumps the soapy water without washing? The washer does a great job cleaning the clothes and conserving water. Because it uses so little water, the color clothes are never clean. There's no question that this washer conserves water! It was affordable, yet dependable and saves $ on both electricity and water costs. We bought an Energy Saver/ Water saver from a Big Box Store and no one told us it wouldn't work that well with well water. Clothes are damp when cycle is over and this cuts down on dryer time. Also it's quiet and the spin cycle cuts down on dryer time. The need to dry the clothes in a shorter time because of the higher speed spin cycle is an amazing feature. It uses very little water, the clothes don't get submerged under water, but clothes are coming out clean. Whirlpool says that over 1 hour to complete a wash cycle meets their cycle time standard. The spin cycle gets the clothes so dry we find we run our dryer less time than we did with our old washer. Believe it needs more water to prevent this from happening, and feel the clothes wouldn't wear so much if more water in washer during the wash cycle.. I love that the clothes come out practically dry, so it takes less time to dry. This particular washing machine, shreds cloths, shirts, towels nt small holes big tears. I would not recommend this machine. At all!